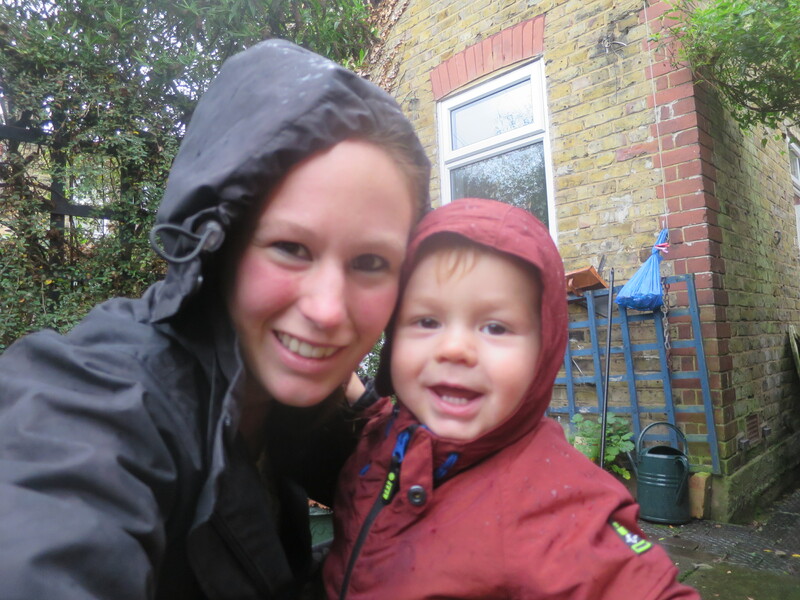 Before I had Tom, if you had asked me to list what a one year-old would be in to, I would probably have included: making a mess, mud, running around giggling, storytime, nursery rhymes… You know, typical small toddler things. I’d have been right too. But an unexpected love of Tom’s has appeared since he became mobile, and only seems to be increasing. Trees. 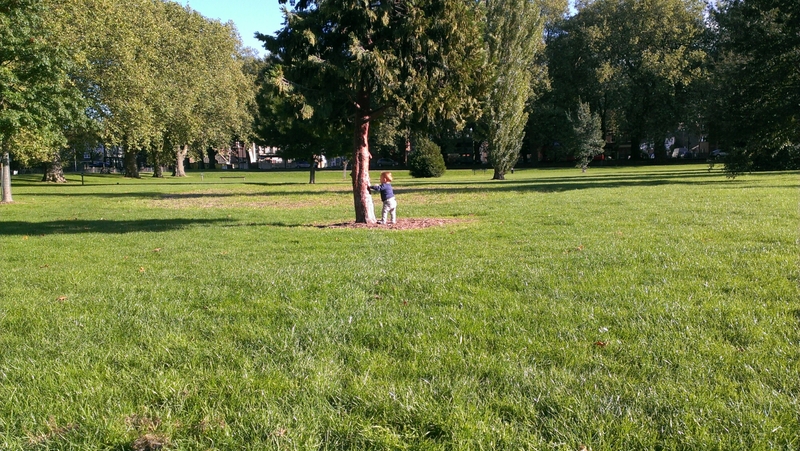 My baby adores trees. And the products of trees (sticks, leaves). 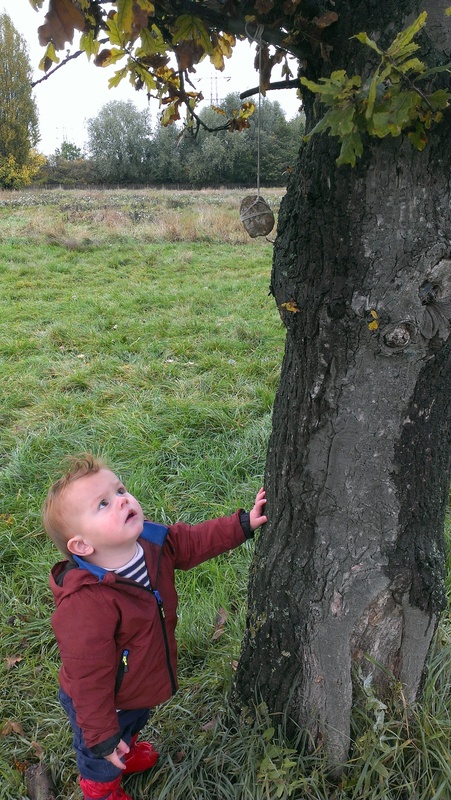 Being a bit of a tree hugger myself, I couldn’t be more proud to see his fascination. But I do find it a bit bewildering. 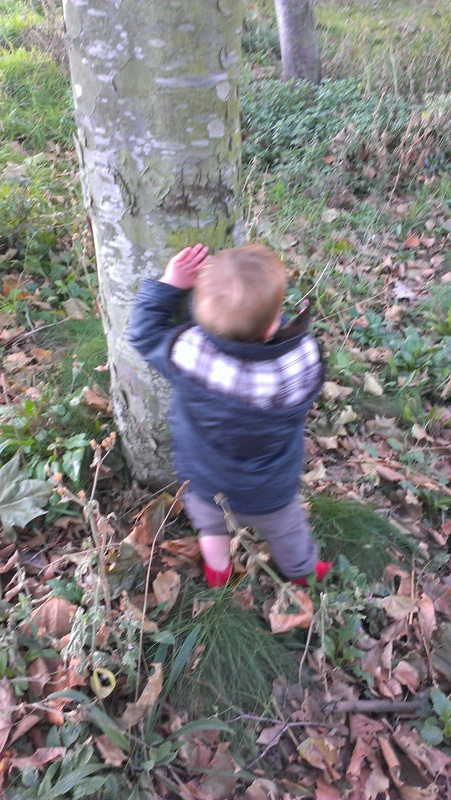 How is it that a child who usually averages a ten minute attention span could spend a whole 45 minutes poking a tree with a stick. Maybe it’s the sensory aspect? Lots of different textures, sounds, smells and colours (especially at this time of year). Or the fact they are so much bigger than him? Or maybe he just likes trees. Trees are pretty fantastic after all. 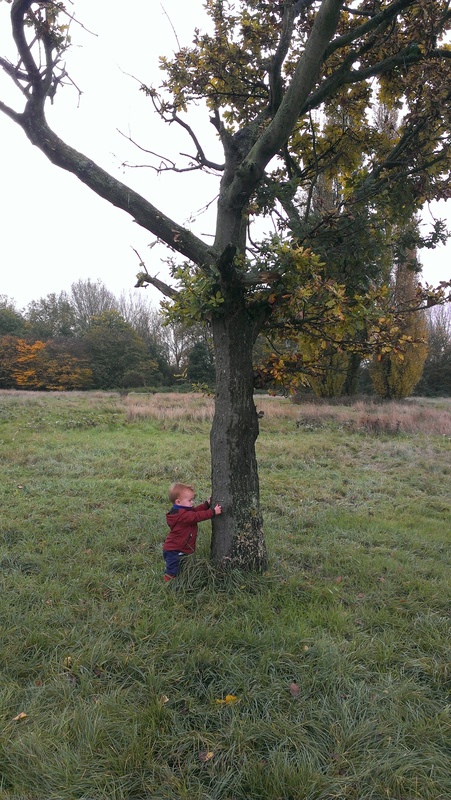 According to the Woodland Trust , one mature tree produces enough oxygen for two people for a year. And our woods and trees are home to more wildlife than any other kind of landscape. It’s a good job we have a little patch of woodland nearby. I can see we’ll be spending plenty more time there in the future! 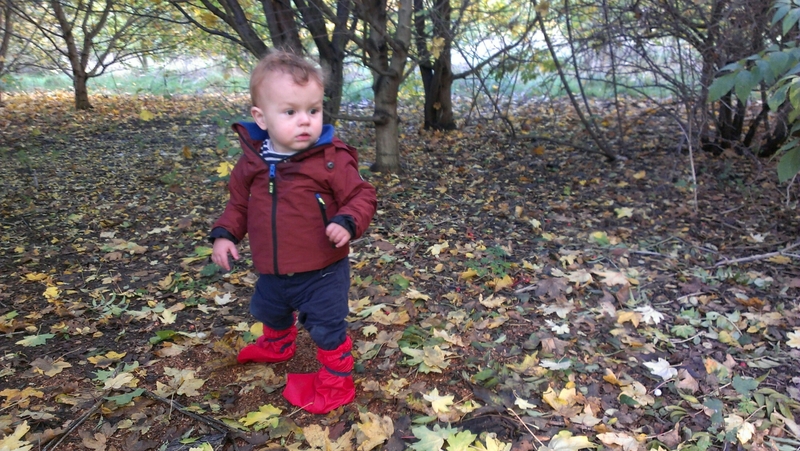 Posted on November 3, 2015 November 4, 2015 by LucyPosted in OutdoorsTagged autumn, leaves, sticks, toddler, trees, woodland. Aw. that’s fantastic. Trees really are fascinating and there are so many aspects to look at, different shapes everywhere.